Another tough hole especially into the prevailing wind. 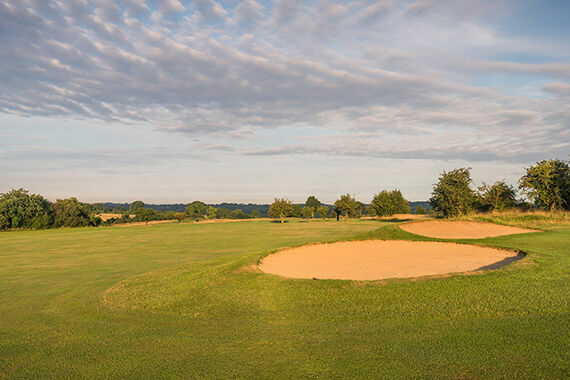 Ideally play your drive down the left side of the fairway with a fade - this will avoid the bunkers on the right and hold you on the sloping fairway. 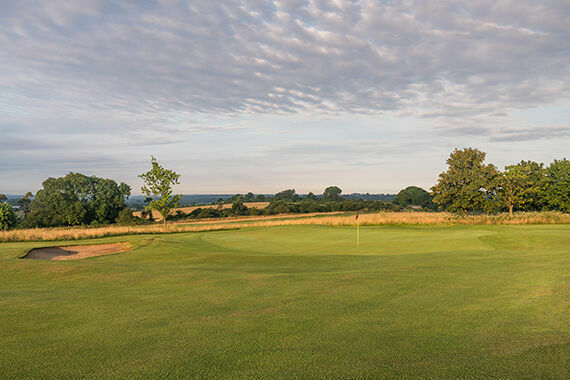 With the long approach shot, if you are not able to pitch it all the way, you should aim at the right edge of the green and the natural contours will bring your ball onto the putting surface. 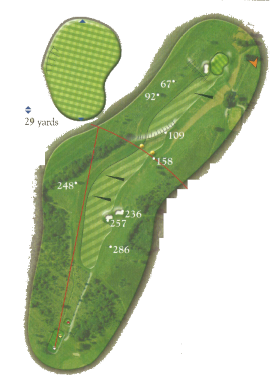 If in doubt with your second, lay-up, just left of centre and this line will give you the best chance of getting close to the pin with your third.